Suitable for students of film and media who are likely to encounter a range of specialist language in a variety of places. This work makes this specialist language accessible and many entries use examples taken from a range of films both classic and contemporary to illustrate concepts in operation. 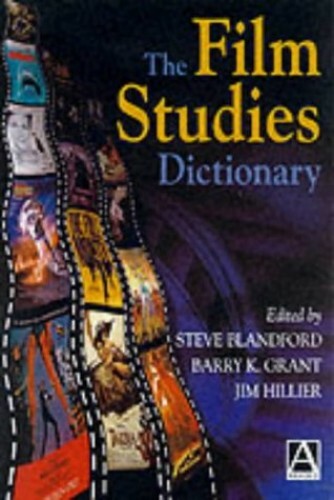 No student of film can afford to be without "The Film Studies Dictionary". It bridges the gap between dictionaries that are primarily academic and theoretical and those that deal mainly in technical jargon. Above all it is aimed at students of film and media who are likely to encounter a wide range of specialist language in a variety of places - in film reviews, critical writing, interviews with film-makers and stars, academic publications and the Internet. It makes this specialist language accessible and many entries use examples taken from a wide range of films both classic and contemporary to illustrate concepts in operation. Some of the entries offer concise definitions for instant reference, while more complex topics receive extended coverage supplemented by up-to-date further reading. Whether you are a film goer wanting to know the authoritative definition of 'best boy' and 'gaffer' or a student of film studying 'post-colonial theory' and 'third cinema' this dictionary will meet your needs.